I’ve said it before, but I’ll say it again – food is always fun (and yum) when it’s on a stick. Meatballs on a stick? I can’t think of a single reason why not?! 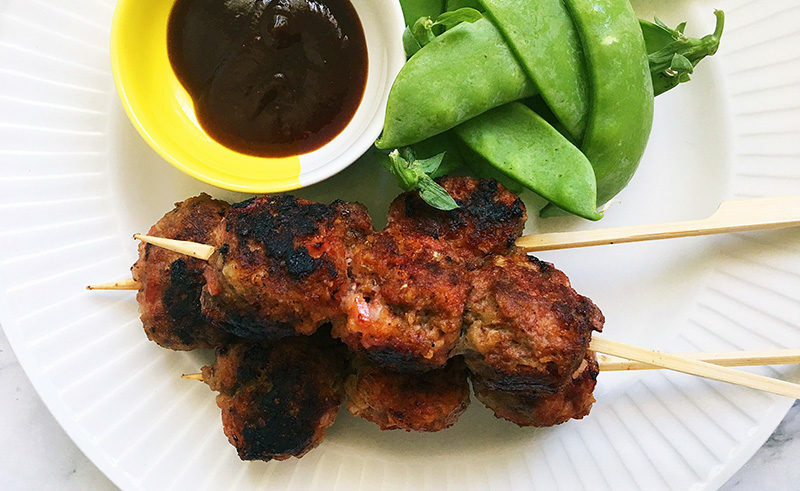 Everyone can use another mince recipe in their cooking arsenal, and these meatball skewers are a hit with both kids and adults. 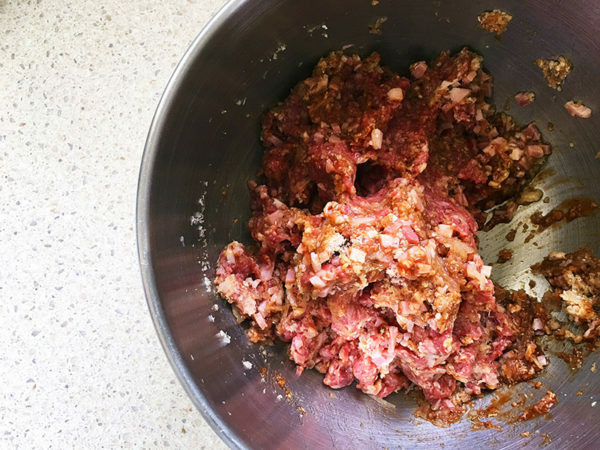 With a combination of beef, bacon and a flavoursome hit of smokey barbecue sauce, people will be coming back for seconds for sure. 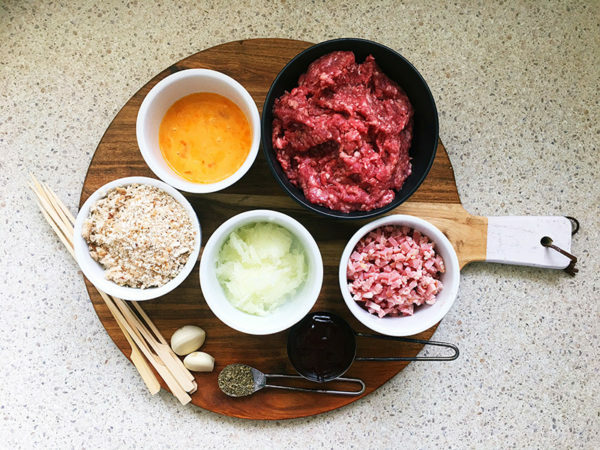 Combine the mince beef, egg, breadcrumbs, onion, bacon, garlic, mixed herbs and smokey barbecue sauce in a large mixing bowl. Season with salt and pepper. 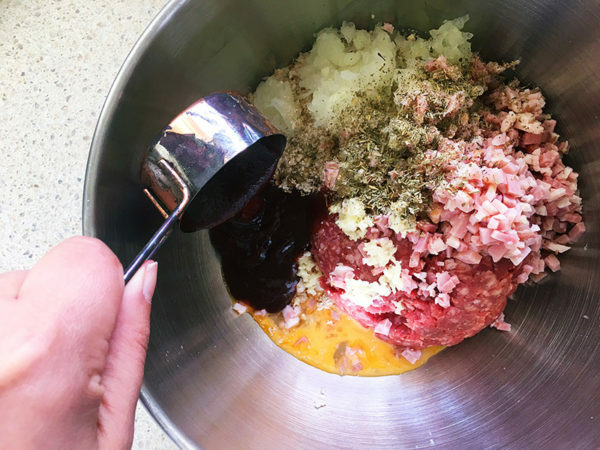 Using your clean hands, mix to combine, ensuring all ingredients are blended through. 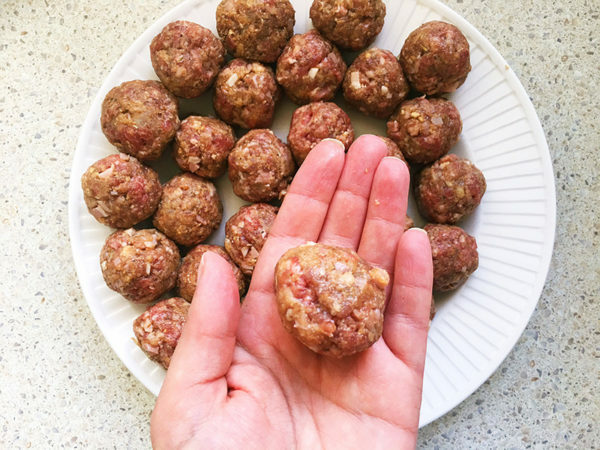 Roll level tablespoons of the mixture into balls and place on a plate. Cover and refrigerate for half an hour. Heat a generous glug of olive oil in a frypan to a medium high heat. 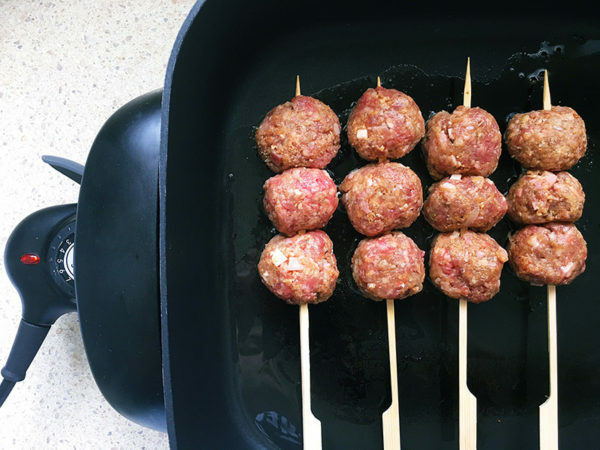 Threading three meatballs on each stick, gently place them in the pan. Cook, carefully turning side to side for seven to 10 minutes, until browned and cooked through. Serve with extra smokey barbecue sauce to dip and a side offering of favourite salad greens or vegetables. This recipe serves four people for a light dinner. 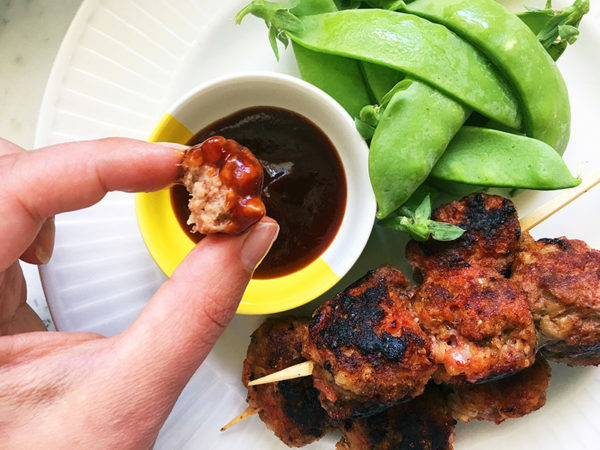 These meatballs (sans skewer) are also great served cold in a lunch box!